You have discovered the fastest, easiest, and most accurate way to get transaction data from your Infusionsoft account into Google AdWords Conversion Tracking. 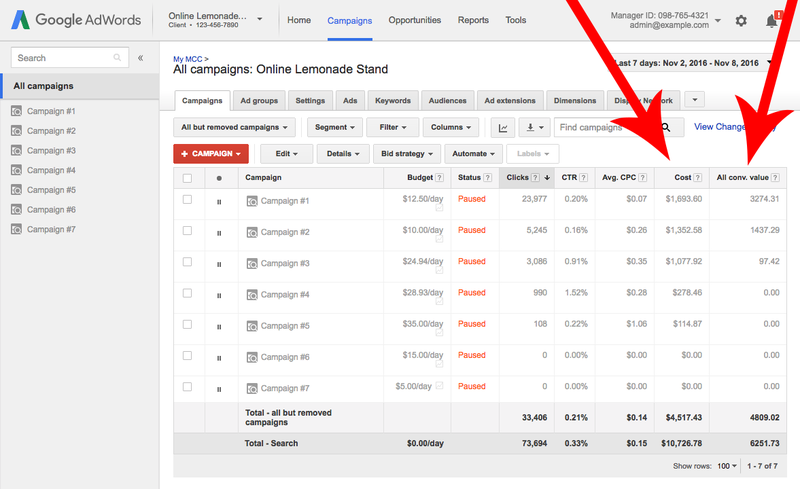 When you setup AnalyticsConnect.io to feed your revenue data into Google AdWords, you'll activate a hidden column in every view of your AdWords dashboard: How much money are you earning? You'll finally know with one simple glance what's profitable and what's not. You can then activate the conversion optimizer to automatically adjust bids for maximum profits. Say it with me, "Wow!" If this article is incorrect or outdated, or omits critical information, please use our contact us form and let us know.